I should have liked to have been treated to a photograph, for I do wonder how the “angel of peace” and the “spirit of war” look drawn, engraved, or stamped on that most precious of political keepsakes that is now an object of interest worldwide. 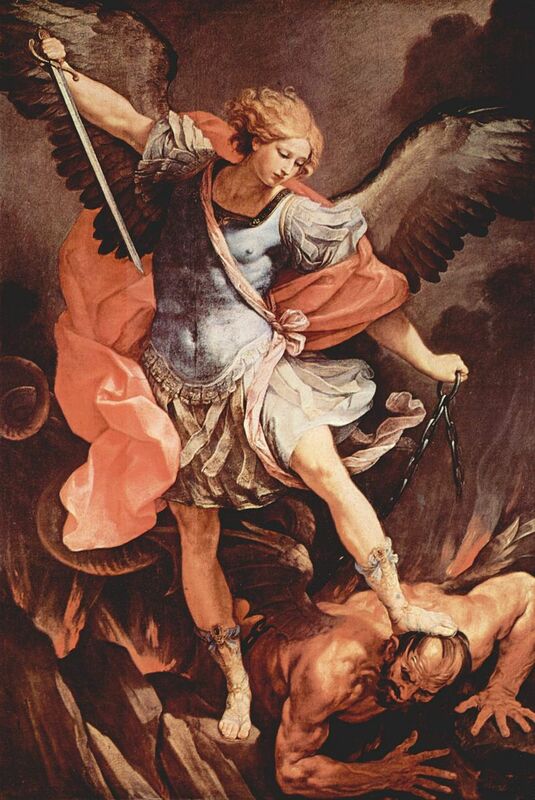 For working with the idea, the convenient web readily coughs up images (and artisanal medallions) featuring St. Michael slaying a dragon (you-know-who). Bolded letters added by BackChannels. Aye, that is as “Brian o’ London” transcribes it into his piece in Israellycool (May 17, 2015). He did utter the words “angel of peace,” and he suggested that Abbas could or might be one. In the context of the pope’s complete statement about the meeting, the implication was that Abbas could be an angel of peace if he resumed direct negotiations with Israel. Dyer, J. E. “MSM fail: Pope did NOT call Mahmoud Abbas an ‘angel of peace’: UPDATE, with double-down.” Liberty Unyielding, May 16, 2015. Related: JTA. “Pope Francis presents Abbas peace medallion at Vatican.” May 17, 2015. AP. “Pope Francis calls Palestinian leader an ‘angel of peace'”. New York Post, May 17, 2015.